Come in for a consultation and let’s work together to re-charge your room with both your existing pieces and new additions! We have framed military medals, christening gowns, wedding invitations, antique golf clubs, varsity letter sweaters, and many more items. When framed beautifully these items become art to be enjoyed for years and years. We also have an art consultant that can assist you in finding the perfect piece of artwork for your home or office, and keep within your budget. First and foremost we have frames, lots of frames! 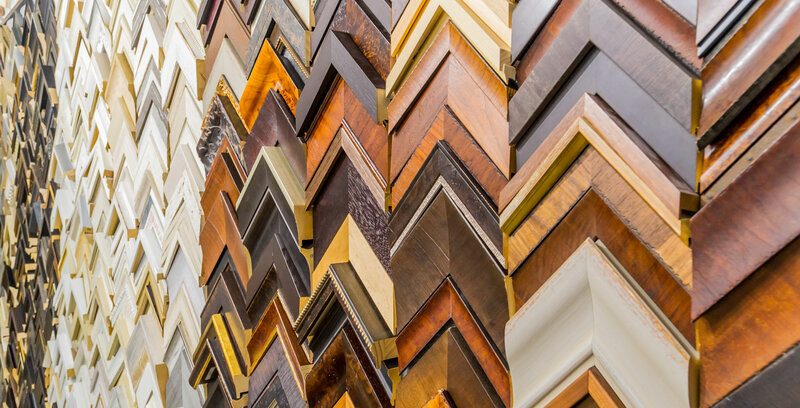 Our extensive supply of frame samples lets us help you find the perfect frame for your project. We frame for many artists and galleries. 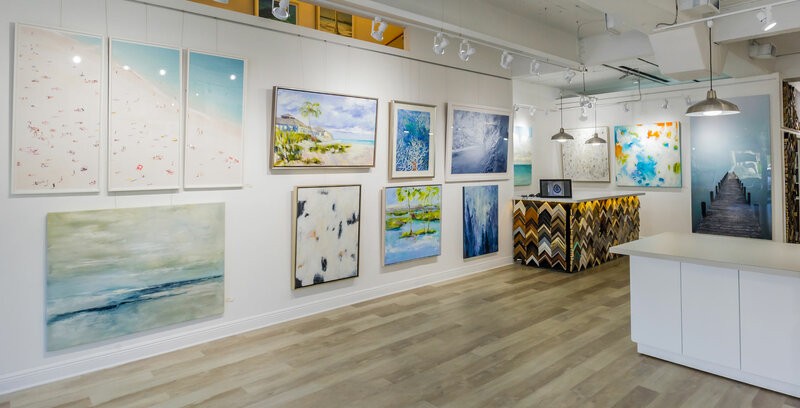 We work with artists and galleries to design the best framing options for presenting their work in galleries and in their studios. Gallery framing is often different from framing for client’s homes. 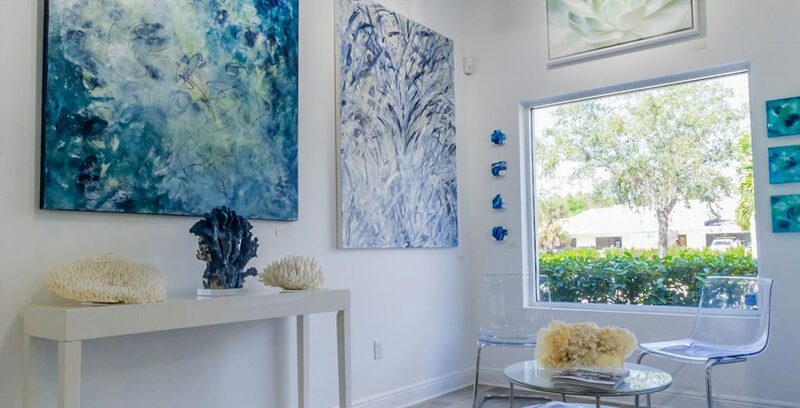 We welcome artists to come in and visit our gallery. We pride ourselves in working with our clients to achieve the best possible framing option for their artwork. This includes all items from prints to fine art. We love to work with designers to help them achieve their vision. The proper custom frame choice can merge the work of art with the surroundings. This is also true of custom mirrors. 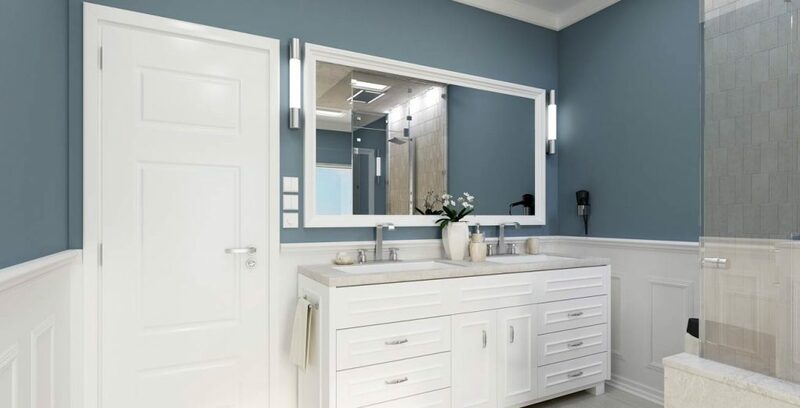 Proper proportion and design can elevate the framing of art and mirrors to enhance the overall beauty of the space. 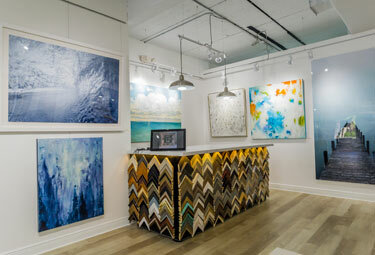 We invite interior designers to come into our gallery and meet our design team. Let us help you make your vision come to life. 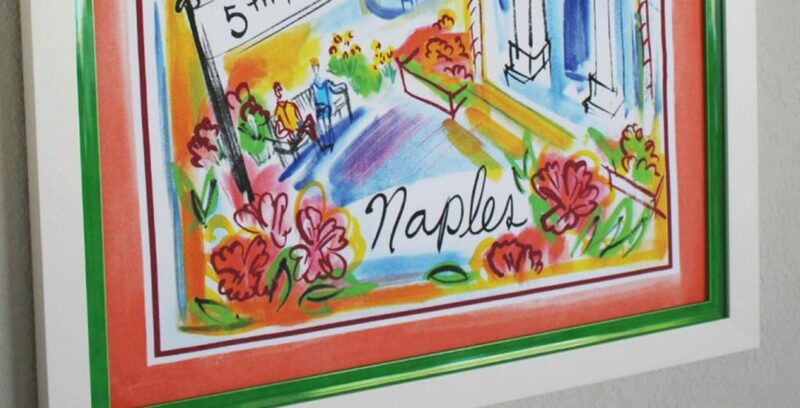 We have assisted many local businesses with their custom framing projects. This includes hotels, restaurants, country clubs, retail stores, and many more. We can also help you find art for your commercial project. Let us make your project easier by helping with your art selection and framing. We frame anything from kids crafts to fine works of art. Beautifully! Your project deserves the best. Let our expertise guide your vision. Our design ability and excellent craftsmanship can translate your framing project into a beautiful reality. 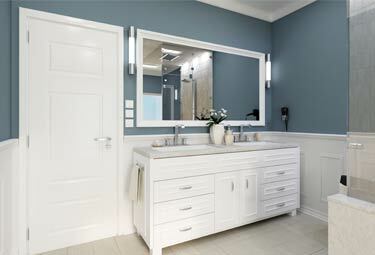 From simple to ornate, from casual to formal we can help you achieve just the right style and achieve the look you want. 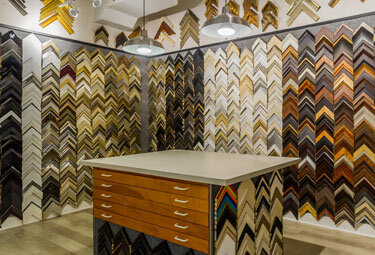 Let us help you find your ideal custom framing solution. Large selection of framing options & styles. Come Visit Us!